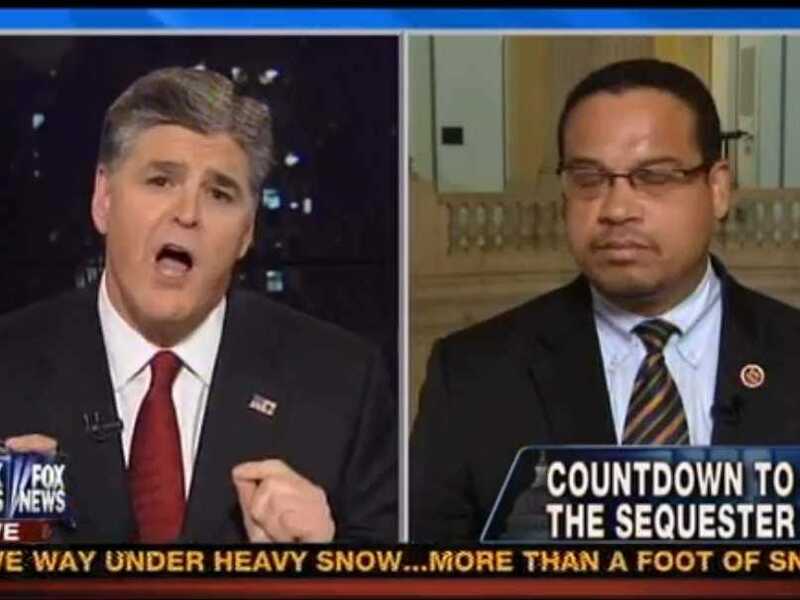 The two argued over the impending cuts of the sequester, which Hannity said was the fault of President Barack Obama and Democrats. Ellison tried to shift back blame to Republicans, saying the Budget Control Act was the work of Republicans bartering over raising the debt ceiling. Much of the talk, though, devolved into indecipherable crosstalk. “You’re immoral!” Ellison shot back.